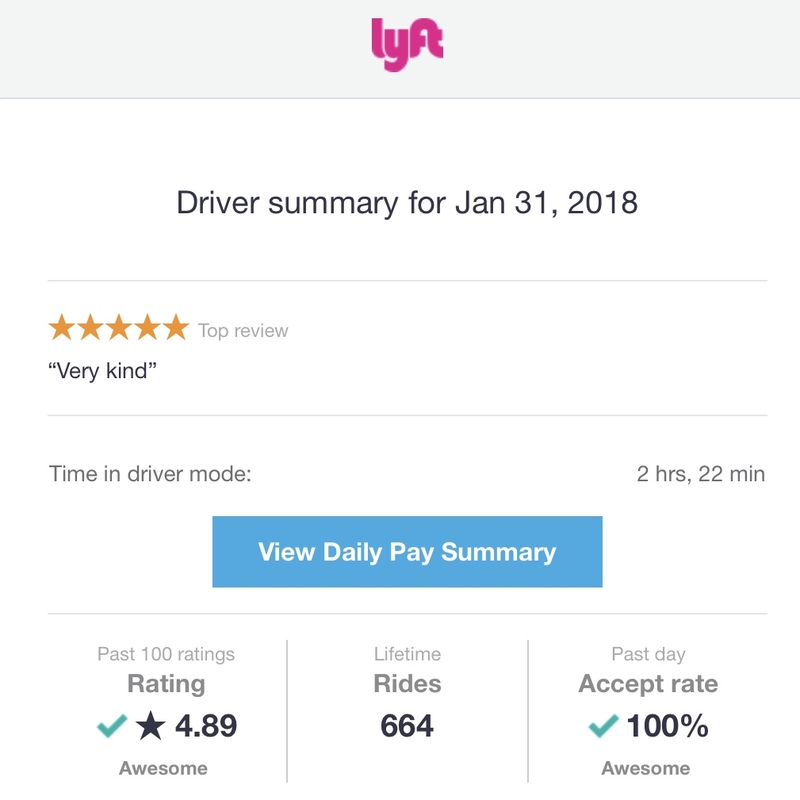 Review from either Ride #663 or Ride #664: “Very kind.” Either the guy who asked nicely if it was OK to bring his sweet puppy or the guy who was having a rough time interviewing for jobs. It was slow morning but this makes it worth it. 5⭐️ passengers both.